Pens Universe got a chance to catch up with Chris Conner. In doing so, we were able to ask him some of the questions you, the readers, posted! Enjoy! PU: Who was your hockey idol growing up? Did he influence your style of play, if so why? And if not, what player or players do you most likely compare your style to? PU: In your professional opinion, how much of your success is due to the Honeybaked organization, specifically the excessive talent level of your practices as a result of your teammates? CC: I grew up playing for Honeybaked, Compuware, and the Little Caesars programs and I feel all of these programs are very competitive and great programs to play for. 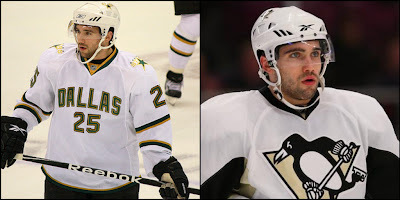 PU: Being a part of the Dallas Stars organization and now a part of the Pens, can you describe the feelings you had after your first time call ups for both teams? CC: Well my first call up for Dallas was my first NHL game so that call up was more exciting for me. 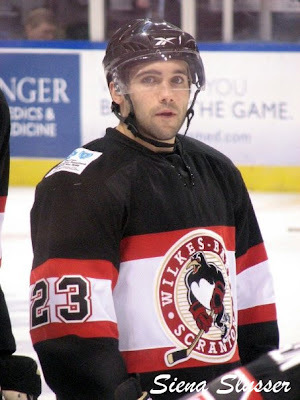 My first call up for the pens was also exciting because anytime I get a chance to play in the NHL its always a good time. PU: Is it hard on you as a player when you are constantly moved up and down between the AHL and NHL? CC: Yeah it gets frustrating because as a player you want to play in the NHL full time. PU: In your opinion, what is the hardest part about being considered "undersized" in the NHL? How do you try to make up for being "undersized" ? CC: Hardest part is proving yourself game in and out. If I get knocked off the puck it always comes back to my size but if a bigger guy gets knocked off the puck its a good hit by the opponent. I have always been in very good shape and one of the strongest players on every team that I have played on so that is a way I try to make up for it. PU: Can you give us three words that you would use to describe the 2 goal performance you had against the New York Rangers on January 25th? PU: Through your hockey career, do you have any one favorite moment thus far? PU: What intrigued you to chose the sport of hockey? PU: What would you say to get some interested in hockey that is on the fence or never even seen the game? CC: I wouldn't want to convince anyone of playing, but if it fun for them and they enjoy it, then they should play. PU: What has been your favorite hockey memory? CC: Playing a game everyday for a living is pretty special, so my favorite memory is everyday that I am able to play the game. We here at Pens Universe would like to thank Mr. Conner for taking out the time! Again I'd also like to thank Siena Slusser and Tiffany Young for making the interview process a smooth ride as well as our AWESOME PU readers for submitting questions! WAIT! You guys are probably all wondering who the PU gift winner is huh? Well Congratulations to Mr. Eric Strzempek! Eric all you have to do is e-mail me at nicole@pensuniverse.com and we'll get your gift out to you! Again thank you to everyone who submitted a question! !